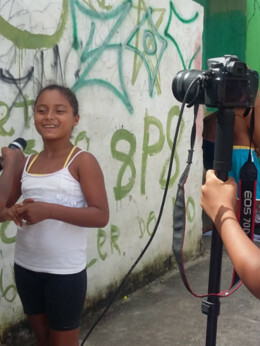 Young journalists from the favelas in the north of Recife, Brazil, use film, photography, and news reporting to tell stories about the beauty, strength, and flavor of their communities. 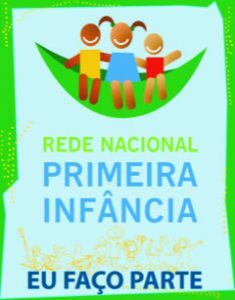 Indigenous and traditional communities in the Amazon have developed their own, oft en very effective, techniques of childhood education and health care. And perhaps most shockingly, 38% of participants went on to higher education, in comparison to fewer than 3% of poor children in Brazil, Colombia, or Argentina. Our FavelaNews project reduced homicide rates in four of the most violent favelas of Recife from 600/100,000 to fewer than 10. YouTube and Facebook have registered more than a million views of our films made in collaboration with marginalized children. Our work in the Amazon won the 2016 Intercultural Innovation Award from the united Nations. En Busca de la Vida, our telenovela made with indigenous youth in La Paz, was shown on national TV in Bolivia. Making a difference for 15 years. At Shine a Light, we know that real change happens when marginalized people take power into their own hands. That’s why the Civil Rights movement worked, why businesses can no longer force children to work in factories, and why people can now marry and be friends with whom they choose. 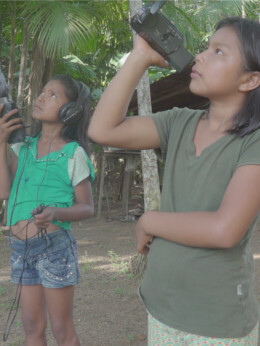 As we teach children from the favelas and from indigenous and poor rural communities to make films, they not only communicate their ideas: they also begin to imagine themselves in a new way. They aren’t just victims, just invisible: they’re filmmakers, artists, musicians, dancers, and protagonists on the world’s stage.